Far Cry 4 is an action-adventure first-person shooter videogame developed by Ubisoft Montreal and published by Ubisoft. It is the fourth instalment in the series, and sequel to 2012’s Far Cry 3. The single-player story follows Ajay Ghale, an English-speaking Nepalese native who returns to Kyrat, a wild and untamed region of the Himalayas, to scatter his mother's ashes. 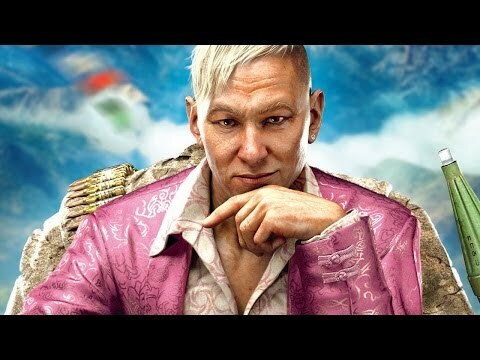 Once there, he becomes caught up in a civil war as the people struggle under the despotic regime of self-appointed king Pagan Min. The player was fight to free the region from the oppressive reign of Min, using a vast array of weapons, vehicles, (even animals) to his/her advantage. The game has been designed so that the open-world DNA of the game compliments the narrative a lot better, to avoid weird situations the developers felt arose out of the previous entry. There is a Co-op mode that allows for a second player to drop in and out at any point, and online competitive multiplayer. Far Cry 4 was released on PC, PS3, PS4, Xbox 360 and Xbox One 1615d ago in the US and the UK.